So here now i am telling you how to add popular post widget to blogger which is very easy to do. 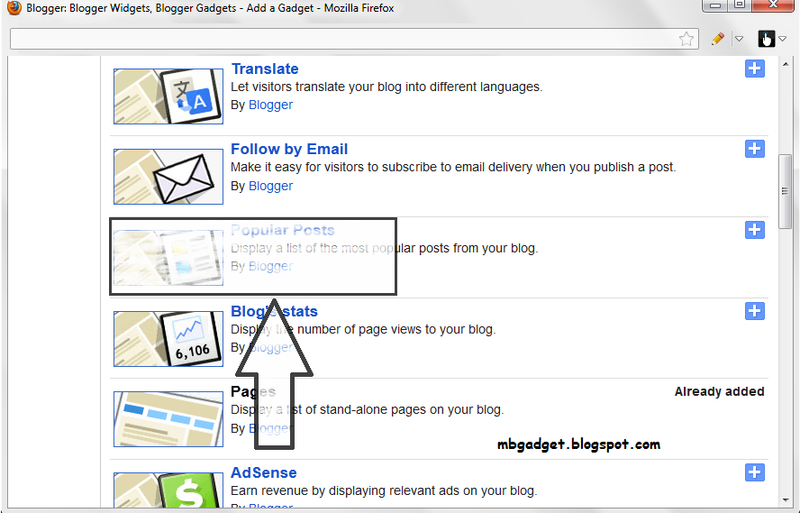 Before adding this gadget to your blog we have to find that why and which thing this widget bring in your blog. This one brings more visitors to your blog with more effective way. There are some more merits and works are here which brings results after adding this to your blogger blog. 1. Attract more visitors to your blogger blog. 2. People easily know your top viewed post. 3. Its easy to navigate from one post to another. 4. Blog look more professional. So here are some steps to add it to your blog. Now the box of gadget will appear like this. So now here Next the new box appear after clicking on it. If you uncheck it simply it don't diplay any image and only text will appear.